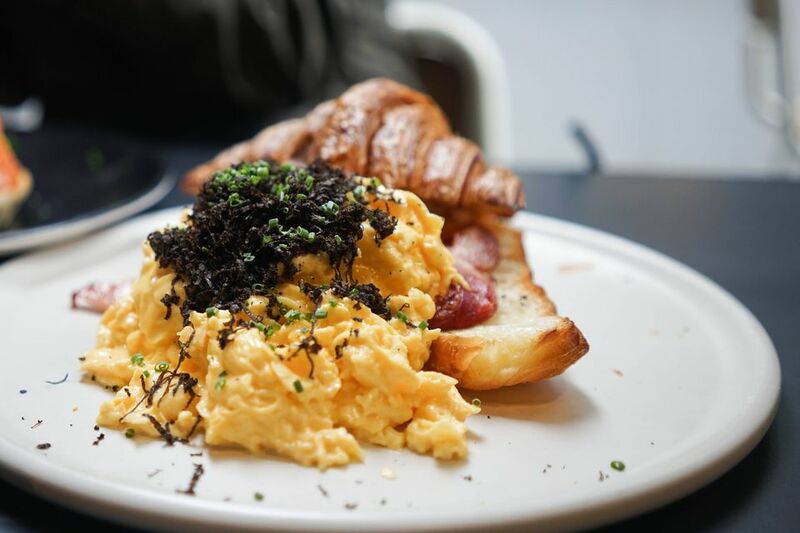 This eggs with black truffles recipe, or brouillade de truffes, is a special egg dish that is served throughout France during the height of truffle season. It’s at once luxurious and rustic, though I personally lean more toward serving it as a rich, special occasion recipe because of the truffles and butter. Cook’s note: Take care to continue whisking the eggs as they cook to produce this recipe’s signature curd-like texture. If you allow the eggs to cook without stirring, they will produce a scrambled egg texture - not the intended result. Heat water to simmering in a double boiler. Whisk together the eggs and truffles in the top portion of the double boiler and add the butter. Continue whisking the eggs over the simmering water until they form small curds resembling cottage cheese. Remove the eggs from the heat, season with the salt and pepper, and then serve immediately, while hot.